1. Ink cartridges that end up in the landfill cause environmental harm, emitting greenhouse gases and polluting the air and water. In fact, the International Agency for Research on Cancer classifies carbon black toner as carcinogenic. 2. Recycling cuts down on the natural resources and energy required to manufacture a new cartridge. 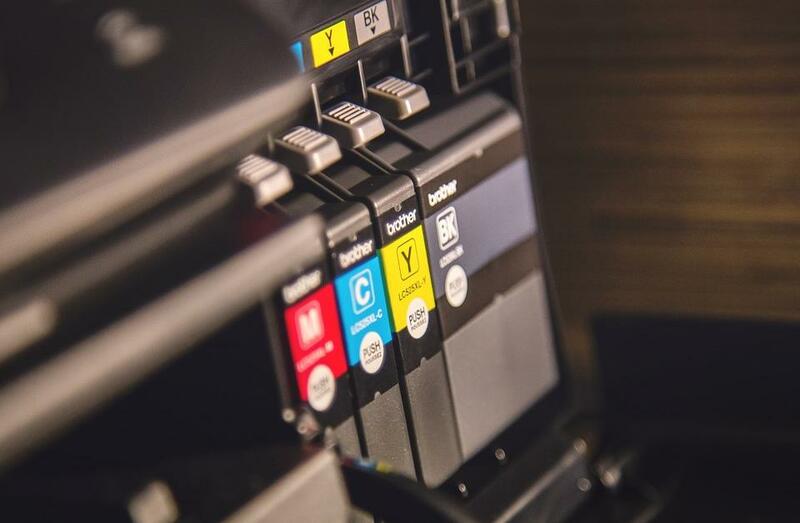 A new laser cartridge requires more than three quarts of oil to produce, and an inkjet cartridge requires roughly three ounces of oil to make! Re-manufacturing plastic requires roughly 80 percent less energy than manufacturing it new. 3. Recycled ink and toner cartridges are just as good as new ones. 4. It’s easier to recycle ink cartridges than you may think. Most manufacturers have recycling programs offering prepaid postage to ship old toner cartridges back to the manufacturers. Also, most major office supply stores, including Staples, Office Max, Walmart, and Office Depot, have ink cartridge recycling bins on-site. Pacific Office Automation understands office equipment can have a huge impact on the environment, and we are dedicated to lightening its impact in all stages, from manufacturing, to operation, to after-life. We only partner with manufacturers that are as equally dedicated to preventing pollution and reducing greenhouse gases, which is why we offer Energy Star-rated commercial printers. We are equally serious about sustainability within our own company, recycling nearly 100% of unwanted machines, toner, and cardboard. We help our customers by removing any waste products after setting up new machines and provide customers with return-shipping labels for toner cartridges. Get in touch with your local POA office today to find out how we can help your organization reduce its carbon footprint while also saving you time and money.